This weeks “Case the Designer Challenge” over at the Global Design Project was a lot of fun. 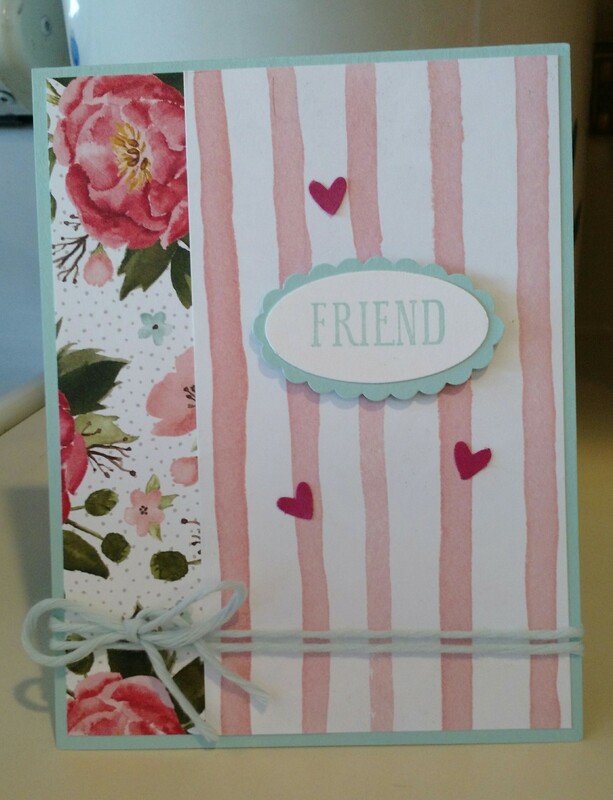 I picked out the stripes and the small hearts for my card. 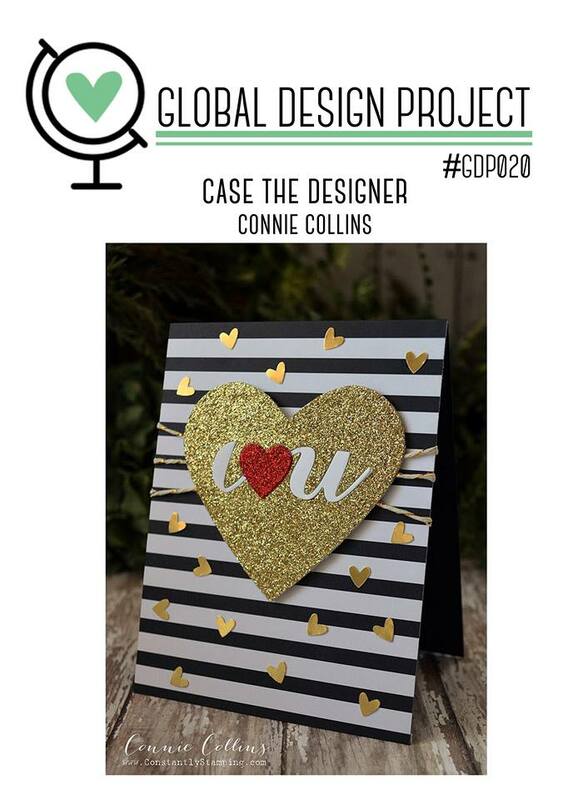 Hope you can hop over to http://www.global-design-project.com and see all the great entries! This is a quick post…it’s Joshua’s (middle son) birthday today and I’m cooking a feast. We always celebrate big for Josh…he came into the world not expected to live longer than three days, and here we are at year 26!!! Yay, Josh!!! 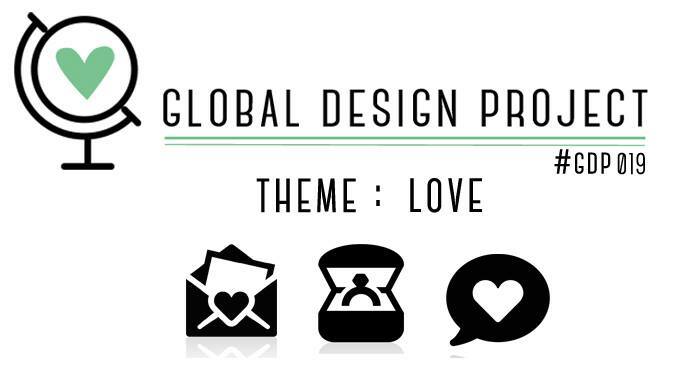 The theme is LOVE over at the Global Design Project this week. Hope you have time to hop over to http://www.global-design-project.com and see all the different creations that the designers and players have come up with! 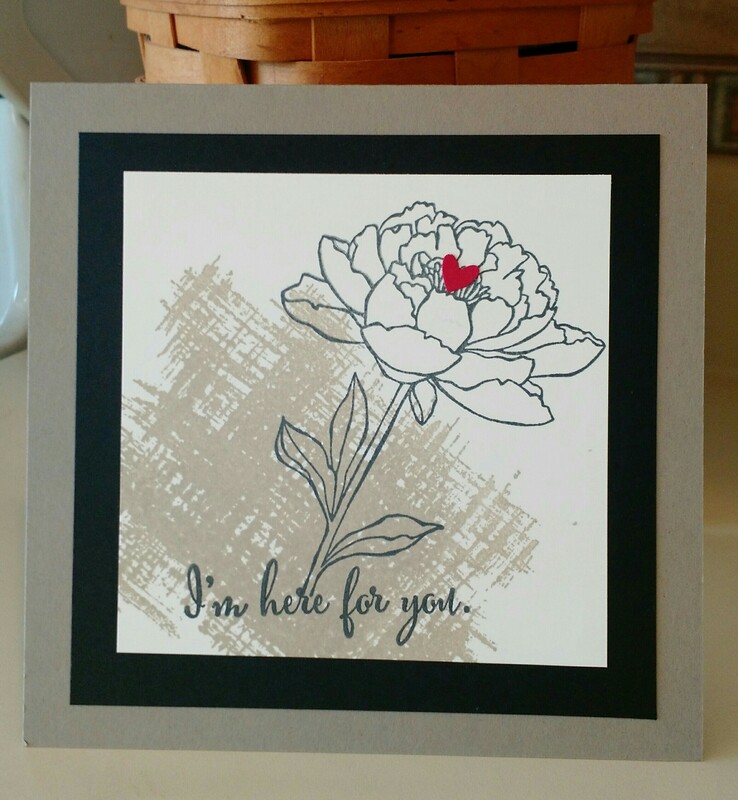 I wanted to make a card for my best friend from college whose mom passed this week, and I wanted to try out the new “You’ve Got This” stamp set. This is what I came up with! 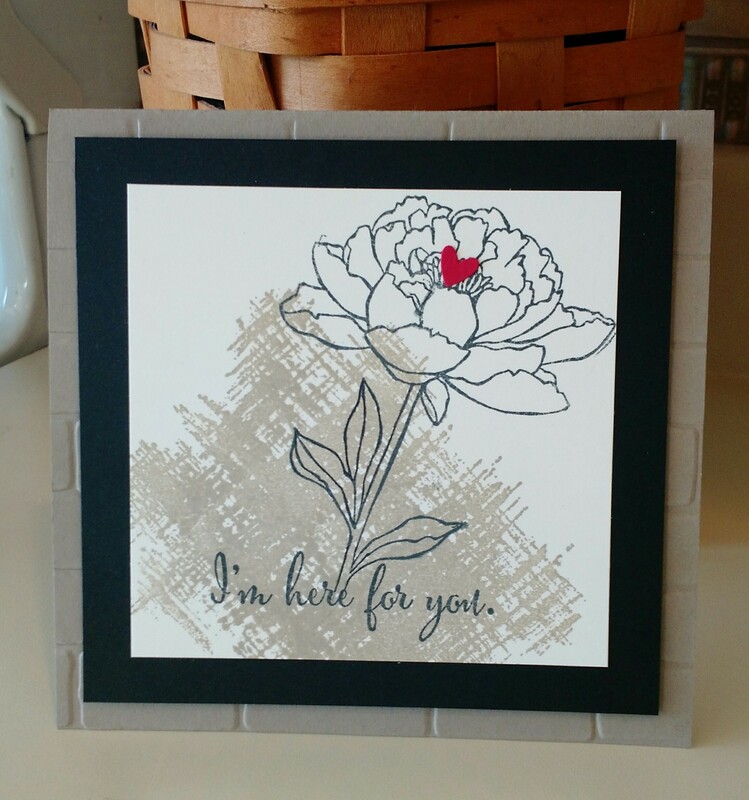 I used the Brick Wall Embossing Folder on the Tip Top Taupe base of the 5″ square card, signifying “I’m here for you like a rock” (or brick, as the case may be), but I also made a second 5 1/2″ square card without the embossing. 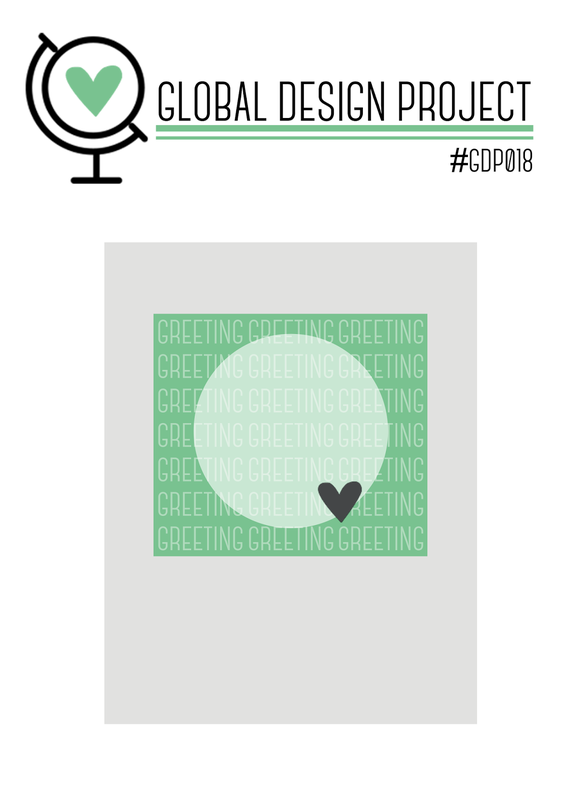 As always, it’s a lot of fun to play along with the Global Design Project! This weeks Global Design Project #GDP018 was especially challenging for me because all I had in the house for sentiment paper was one 6″ square of Watermelon Wonder DSP from the Designer Series Paper Stack. I’ve never used Watermelon Wonder before, so I was matching it up with all different colors until I came across the confetti paper in the new Birthday Bouquet Designer Series Paper and bingo..Mint Macaron! 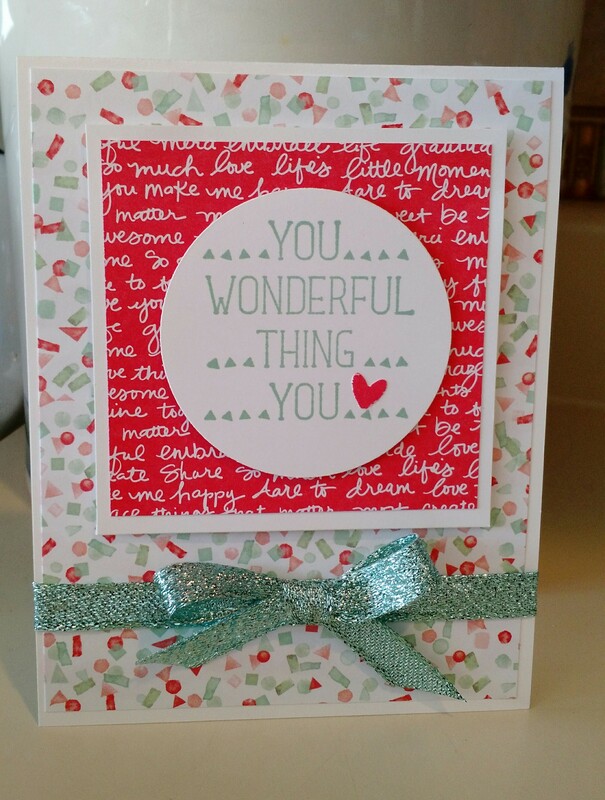 The “You Wonderful Thing You” sentiment is from the Suite Sayings stamp set, also in the new Occasions Catalog. The ribbon is the new Pool Party Glitter Ribbon, but it passes for Mint Macaron in this card! : ) Hope you have time to hop on over to http://www.global-design-project.com and see all the great creations. Four months ago, the Global Design Project began with a bang. I continue to be so taken with that particular weekly challenge because it attempts to bring together stampers from the whole world and to me, that is quite a peace initiative. So far, I haven’t missed one of the 17 challenges in 18 weeks…it’s so much fun – full of inspiration! The very first challenge was the first week that our friend John started a new round of cancer treatments and I asked the Global Stamping Community for prayers. The response was so heartwarming and John soldiered on…until yesterday when he crossed over to glory. Rest in peace, John. 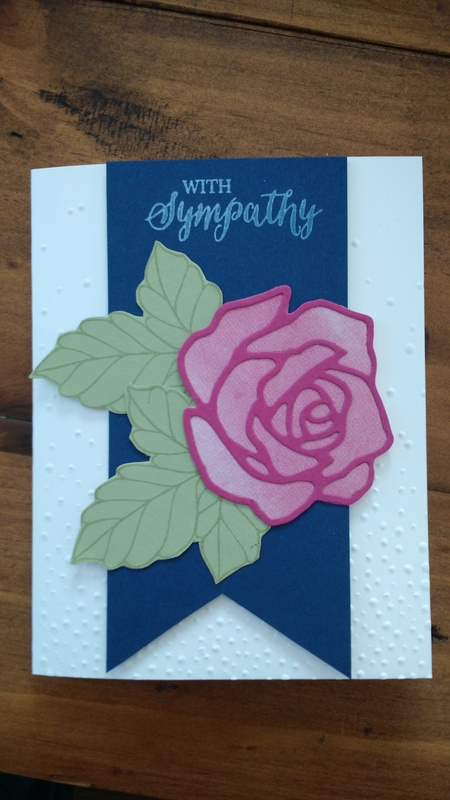 I made this sympathy card after making a similar card for this week’s Global Design Project. 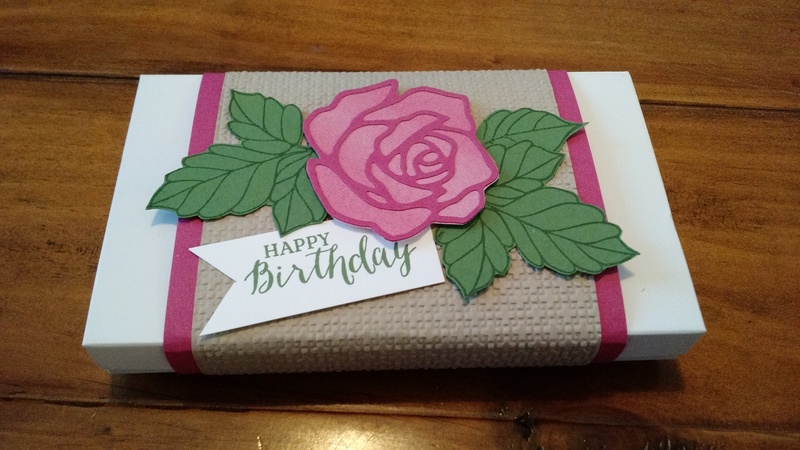 The birthday card was on my last post when I submitted a Belly Band Project for the challenge, but the website wouldn’t allow me to post two entries from one blog post. 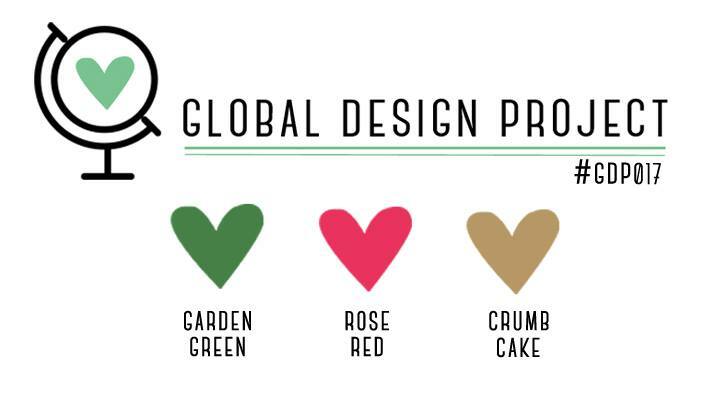 Hope you have time to hop on over to http://www.global-design-project.com and play with this weeks color challenge! With tomorrow being Epiphany, I decided I wanted to do something related to a gift for this weeks Global Design Project color challenge. I ended up with a belly band for a gift box, made with the challenge colors of Garden Green, Rose Red and Crumb Cake. The rose and leaves are made with the new Rose Wonder stamp set and Rose Garden Thinlits Dies in the new Stampin’ Up! Occasions Catalog that went live today. 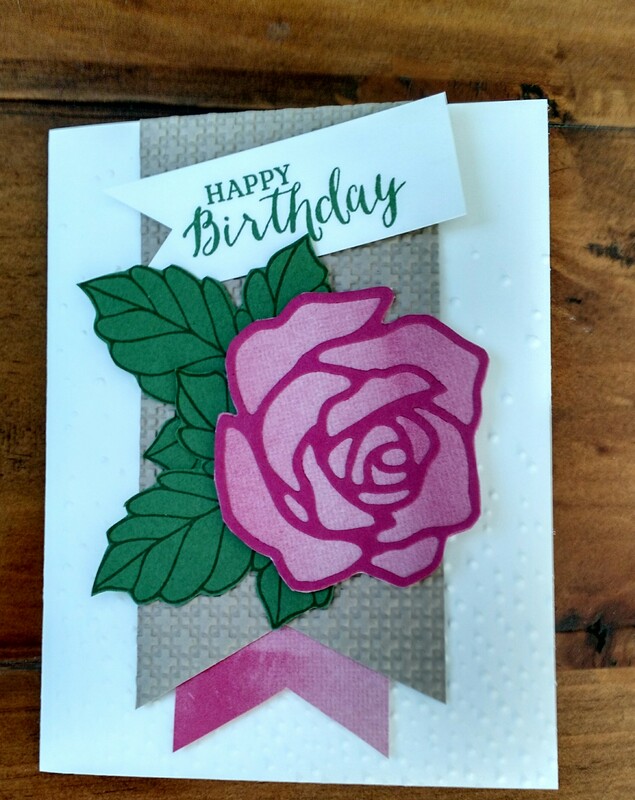 The background paper on the rose is from the free Perfectly Artistic Designer Series Paper from the new Sale-A-Bration Catalog (free with a $50.00 purchase). The Crumb Cake Cardstock is embossed with the retired Square Lattice Embossing Folder. After I finished the project, I decided it needed a card to go with it…. thanks, Global Design Project Team, for the “two-for-one” inspiration! The base for the card is made with the new Whisper White Thick Cardstock and I’m just loving the sturdiness of it. It is embossed with the Softly Falling Embossing Folder. Hope you’ll head over and see what’s happening at http://www.global-design-project.com. Happy New Year! This is actually the Christmas card that I made for my sideline, and then liked it so much that I made it for most of my Christmas cards. It can easily be a New Years card, though! It’s a modification of a Lisa Gersa design, using Wisteria Wonder, Rich Razzleberry and Blackberry Bliss Inks. The circle was sponged with a stencil made out of a piece of cardboard. 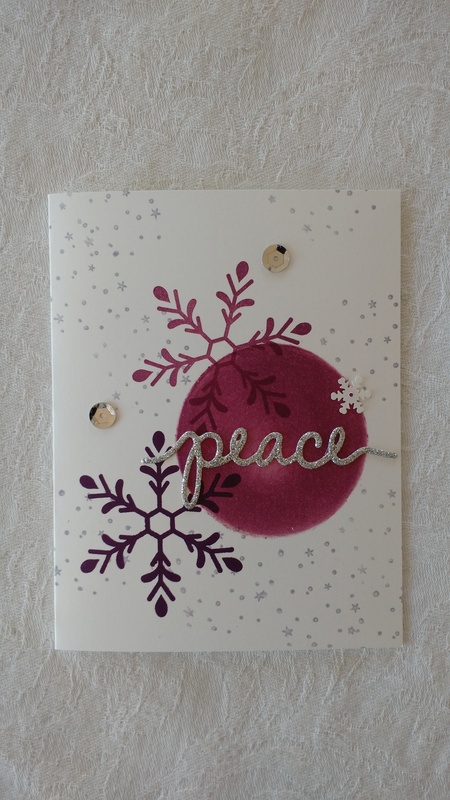 The snowflake stamp is from the Holly Jolly Greetings Stamp Set, my favorite stamp set of the holiday catalog!